Our new Client who is currently based in Barcelona, Spain is looking for a Spanish speaking Nanny to look after her 4 years old son and daughter. The children are lovely twins who are currently at nursery. The Client is a business lady who travels frequently and the family will be located in Hungary, Spain, Switzerland and possibly the USA during the next 12 months. A perfect candidate would have a good command of English and be a Spanish speaker. 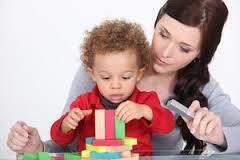 We are looking for a well organised, energetic nanny who is professional and discreet. Due to the nature of the principals business, although there is a warm and friendly atmosphere in the home, we will ask that the nanny has a good understanding of the professional distance required in such a position. The candidate will be asked to use their intelligence and organisational skills in order to help with the smooth running of the family life. The property is fully staffed and therefore there are no other duties apart from taking good care of the children by creating a secure, warm and friendly environment. The accommodation provided will be a bedroom and bathroom, depending on the location. The children have a good sleeping pattern and therefore the Nanny is rarely needed during the night however if the children are feeling unwell, the nanny may be asked to stay in the same room as the children. The position may become a rotation placement during the year with no reflection on the salary despite less hours. The family also have a cat whos' name is Leo, it is important that the applicants do not have any cat allergies. If you have any questions, don't hesitate to call +44 (0) 20318 4468 ext 105.